Always beautiful and supported by donations, Wonder of Lights is open to all. 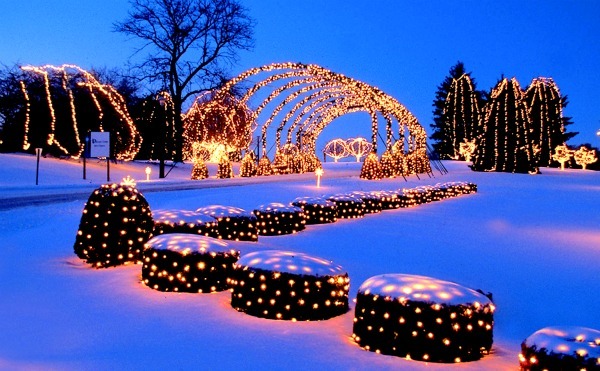 The nation’s largest outdoor shrine, Our Lady of the Snows drive through Christmas lights display is only 15 minutes from downtown St. Louis. Other points of interest include a life-size nativity created of Lego Blocks. On site restaurant and hotel packages (coupons online) and horse drawn carriage rides. 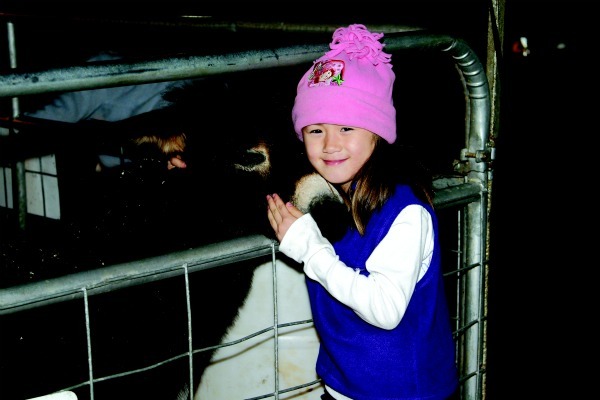 A good time to learn about the animals of the nativity, the petting zoo is one of the youngsters favorites. Tree Display…11 am – 9 pm Decorators and designers from the St. Louis/Metro East display their best creations showcasing ‘Children’s Books’. Wreath Display & Auction – Each year, local artisans, crafters, florists and others create wreaths to be displayed during the Way of Lights. Throughout the display, visitors can bid in a silent auction to “win” one or more of the unique wreaths. 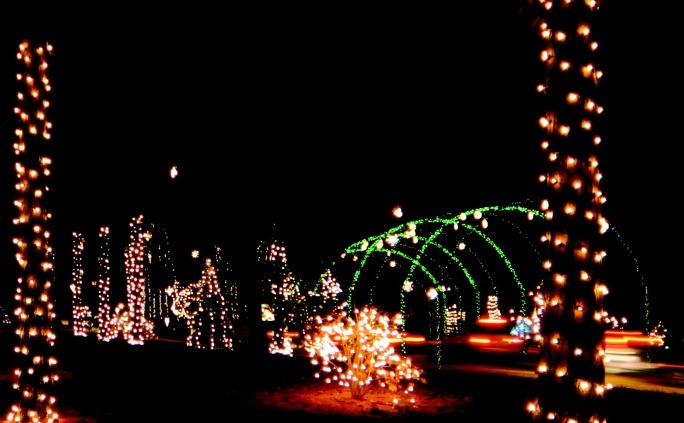 Funds raised help to continue bringing the Way of Lights to the community. check the website before you go. Activities and schedules are posted. Where to Eat – Well known for outstanding food and great service, the AAA-rated Shrine Restaurant has been serving delicious meals since 1960. Where to Stay – Shrine Hotel, a Belleville hotel is 12 miles from downtown St. Louis. Hotel amenities include, free high-speed wireless internet (wifi), fitness room, guest laundry facilities, and small pets welcomed. The hotel is adjacent to Our Lady of the Snows Church and the Shrine. Restaurant. Sacrament of Reconciliation – The Sacrament of Reconciliation begins thirty minutes before Mass and ends ten minutes prior to Mass. Saturday Evening Mass 5:00 p.m.
9:30 & 11:30 a.m. *Thanksgiving, and Christmas Mass only at 9:30 a.m.
New Years Day Mass at 11:30 a.m.
**Easter Sunday Masses 6:45, 9:30 & 11:30 a.m.
Drive through more than a million lights. Week nights are the least crowded time to come. For more information: National Shrine of Our Lady of the Snows, 442 S. DeMazenod Dr., Belleville, IL 62223-1023, phone: 618-397-6700 or 800-682-2879. Just 15 Minutes from downtown St. Louis (I-255, Exit 17-A).